Dr. Prior is a Professor of Endocrinology and Metabolism at the University of British Columbia working on women’s health. She studies menstrual cycles, the effects of ovulation and its disturbances on women’s later life osteoporotic fracture, heart attack, and breast cancer risks. She is the British Columbia Center Director of the Canadian Multicentre Osteoporosis Study (CaMos), a 20-year prospective 9-centre population-based bone and general health study and the Scientific Director and Founder of the Centre for Menstrual Cycle and Ovulation Research. I first interviewed Dr. Prior back in episode 55, so make sure to take a listen if you haven’t heard it before. 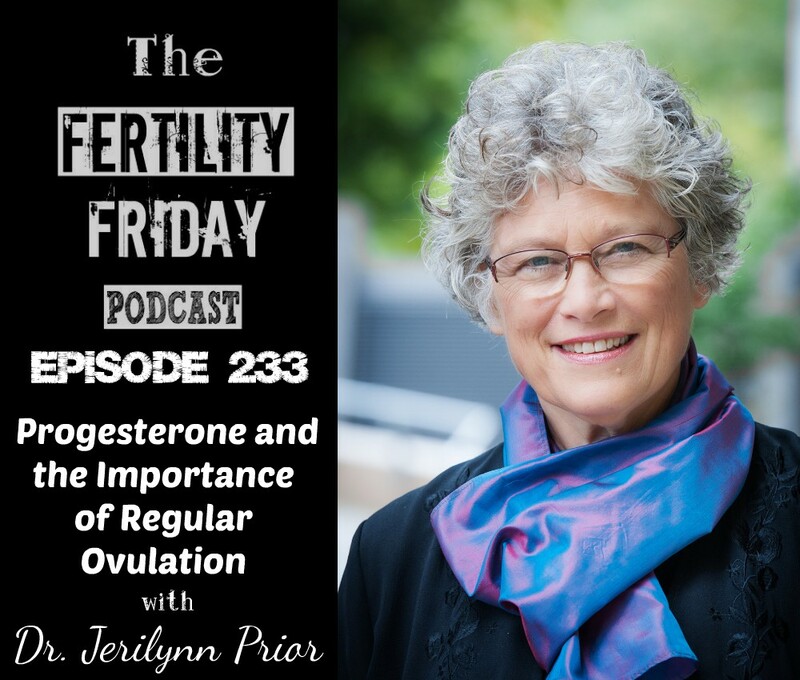 In today’s episode we’re talking about the important role of progesterone (and regular ovulation) for overall health, beyond your ability to procreate! Today’s episode is also sponsored by my 10 Week Fertility Awareness Mastery Group Program! Gain confidence charting your cycles, and gain deep insights into the connection between your health, your fertility, and your cycles. We start on January 22nd, 2019. Will you be joining us? Click here for more information! Could menstrual cycle disruptions be related to the status of women in our culture? You can connect with Dr. Prior on her website. One of the best podcasts yet! Just when I think they can’t get any better you keep bringing us such awesome and relevant information! I look forward to every Friday!